Fifth Avenue WordPress Theme comes with additional features for WPBakery Page builder to give you even more power. 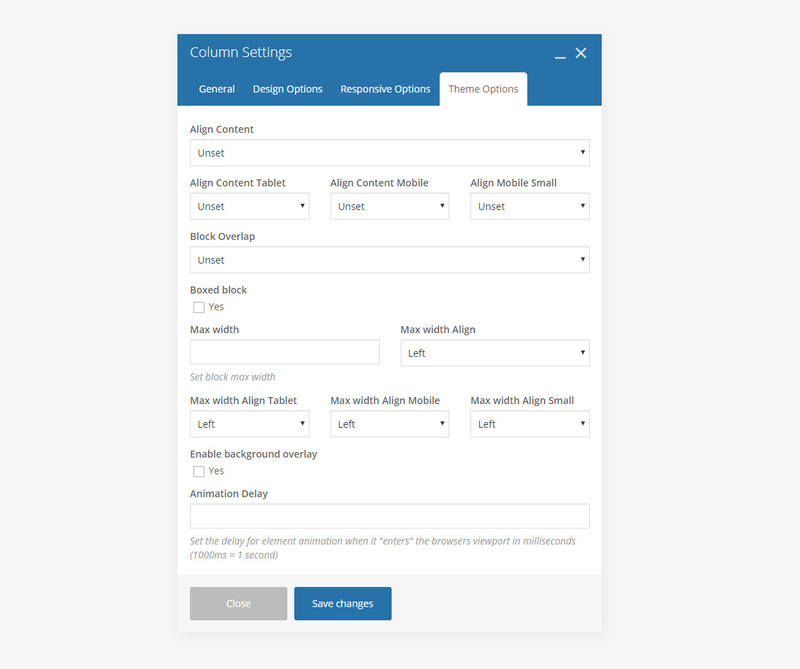 You can find our options in Theme Options tab in Text Block, Column and Row elements or Page builder. Click on pencil icon described elements and in opened window switch to Theme Options tab. Indent options are the same as margin but controllable on different screen resolutions. You can set different indent value for desktop, tablet, or mobile screen sizes. Below is an example of what you can make with indent option. This text block is indented by 80px to the left. On mobile indent will be removed. I am text block. Click edit button to change this text. The animation delay input allows you to delay the column animation by a specified duration in milliseconds. E.g. “500” would delay the animation by 500ms, or 0.5 seconds. Enter the delay in milliseconds without unit value, number only. This option is useful for creating staggered animations. See an example below, animation and delay are written in animated blocks. 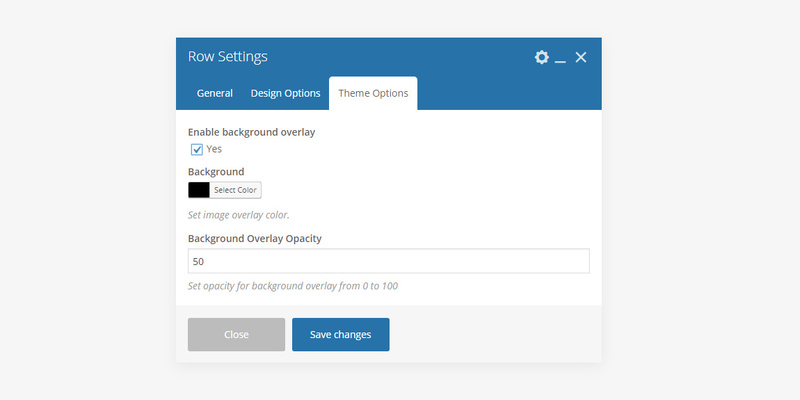 You can find our custom option for column in Theme options tab when editing column. The very first option is content alignment. It helps to align all content elements in bulk and can be really a time saver when you have a lot of elements in column. Additionally it allows you to control elements alignment on different screen resolutions. You can make column to move above the another column a bit. So one column content will overlap another. Currently it is only possible for 1/3 over 2/3 column only but we will add more soon. You can combine it with boxed block option if you have a lot of content that should be readable. Or you can use it to make huge title overlay image a bit to create fancy effect. Check examples with and without boxed option below. Boxed Block option adds padding and white background to column. You can choose the padding size and enable or disable shadow. You can see examples of a boxed blocks with big and small padding below. Boxed block: Yes, Boxed block padding size: Big, Boxed Block with Shadow: Yes, Max width: 500px, Max width Align – Center. 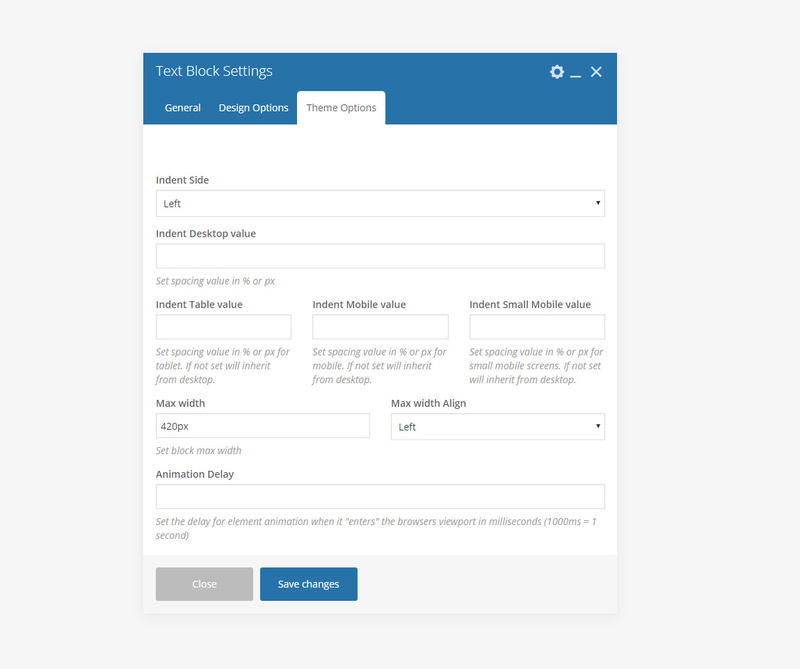 Boxed block: Yes, Boxed block padding size: Small, Boxed Block with Shadow: Yes, Max width: 300px, Max width Align – Center. 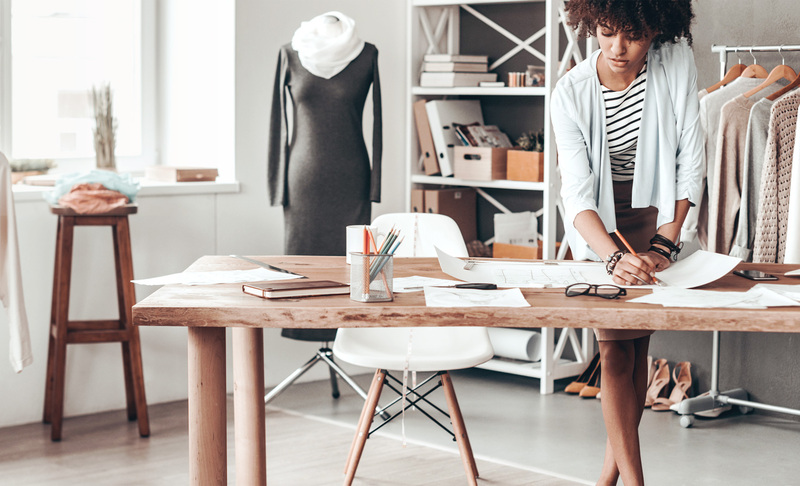 Max width options allows you to limit any column size and align its position. Set max width value in px or %. You can see max with option in action on Boxed block examples above. When to use max width option? You can use it to limit column width on desktop only so on mobile it will use full width. You can add additional color layer on background of column which will overlay the background image. Row coming with background overlay color option. It is the same as in column but gives you possibility to cover the whole area when you set row to full width without paddings.